To Have Better Systems... Better Have DB Systems! 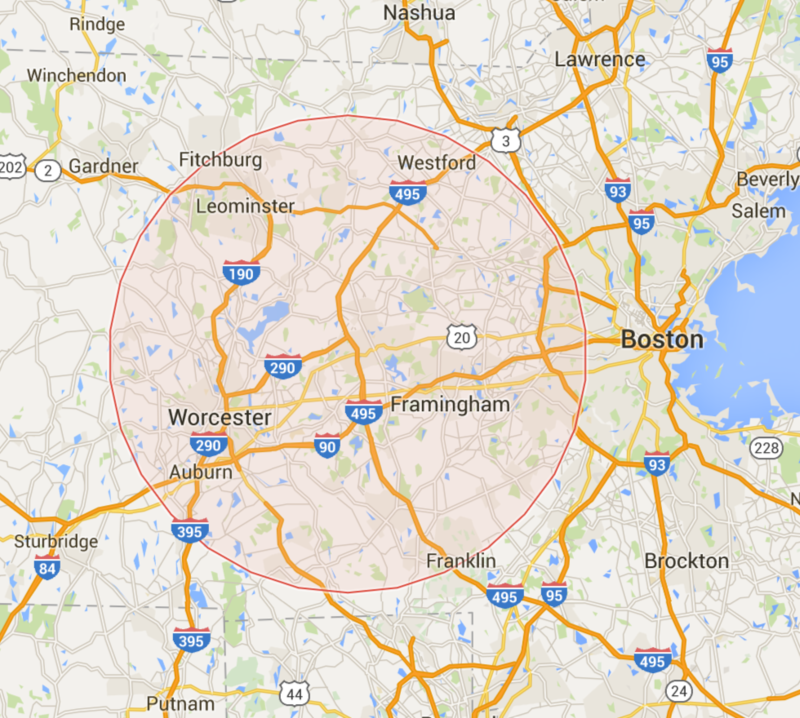 However our general service area is within the Greater Boston Metro West area into eastern Worcester County. Below is a map with an approximate radius and a partial list of some of the cities and towns in which we have worked. Depending on the scope and details of the work, we occasionally travel outside this area. Please contact us to discuss service in your area. © Copyright 1998-2019 DB Systems, Box 873, Marlborough, MA 01752.